ANAHEIM, Calif. – From the entrance along Buena Vista Street to the popular Cars Land, Disney California Adventure Park is filled with fun, themed restaurants and quick-service locations that offer guests a variety of menus and dining options. The delicious dishes and beverages are paired with Disney’s legendary service. As guests enter the park, they immediately see the iconic Carthay Circle Restaurant and Lounge, at the end of Buena Vista Street. 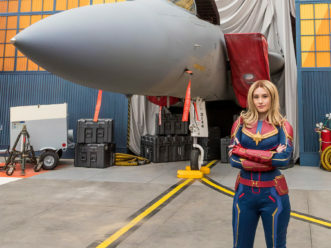 The building was inspired by the landmark Carthay Circle Theatre in Los Angeles, where Walt Disney debuted the film “Snow White and the Seven Dwarfs” in 1937. Now a landmark for Disney California Adventure, the Carthay Circle Restaurant and Lounge is one of the premier dining locations at the Disneyland Resort. The upstairs Carthay Circle Restaurant and downstairs Lounge recall the grandeur of the original theater’s 1920s Spanish Revival architecture with custom tiles, plaster arches, custom woodwork and other historic touches. The cuisine is the star of this production with artisan ingredients, locally sourced produce and seafood and meats from throughout Southern California. Culinary Director of Signature Restaurants Andrew Sutton from Napa Rose at Disney’s Grand Californian Hotel & Spa created the restaurant’s seasonal menu. “The culinary team is a group of true artists with passion and confidence for creating delicious food,” Sutton says. Located on the second floor, the 256-seat restaurant (200 inside, 56 on the terrace) is open daily for lunch and dinner. Hours for the restaurant and lounge typically are 11:30 a.m. to park closing time daily. On the ground floor, the 68-seat Carthay Circle Lounge features cocktails from the 1920s with tableside service for signature beverages including martinis and classic punches. The focus in the lounge is appetizers and tapas – international tastes that celebrate the diversity and heritage of Los Angeles in the 1920s and ’30s, the era when Walt Disney was launching his company. Buena Vista Street also offers four spots for quick bites: Fiddler, Fifer & Practical Cafe; Mortimer’s Market, Trolley Treats and Clarabelle’s Hand-Scooped Ice Cream. The 178-seat Fiddler, Fifer & Practical Cafe (134 inside, 44 outside) offers Starbucks coffee drinks as well as sweet rolls, pastries and breakfast sandwiches on the morning menu. Clarabelle’s Hand-Scooped Ice Cream features Dreyer’s ice cream, including bars dipped in milk or dark chocolate that guests can finish with sprinkles, pop rocks and other fun toppings. Hot fudge and strawberry sundaes and other frozen delights round out the sweet offerings. With a nod to landmark diners along America’s historic Route 66, guests will feel as if they have stepped into the town of Radiator Springs at Cars Land, with a contemporary spin on classic tastes from the 1950s. “Cars Land has fast-casual restaurants with lots of fun tastes, from dill pickle popcorn to chili and cheese – we call it chili cone queso – in an edible bread cone,” says Disneyland Chef Chris Maggetti. Guests may “fuel up” at Flo’s V8 Cafe, Cozy Cone Motel and Fillmore’s Taste-In. Each location has a story, of course. Flo’s V8 Cafe is inspired by timeless roadside diners and boasts “the finest fuel in the 50 states.” To cater to the growing number of Route 66 visitors and race fans coming to Radiator Springs, Flo expanded her place by adding a “showroom” dining area, the story goes. The showroom is part of the 300-seat dining room that looks out directly over the Radiator Springs Racers attraction. The restaurant’s signature vegetarian dish is a veggie-tater casserole. Open for breakfast, lunch and dinner, the menu for Flo’s will change often, with the centerpiece of the restaurant a rotisserie where guests will see meats grilling, such as New York strip loin, citrus-marinated turkey breast and pork loin flavored with Coca-Cola barbecue sauce. For breakfast, specials include brioche French toast with salted caramel and bananas and chicken tamales with scrambled eggs. Craft beers from Bear Republic Brewing Co. in Healdsburg, Calif., and California wines also are on the menu. 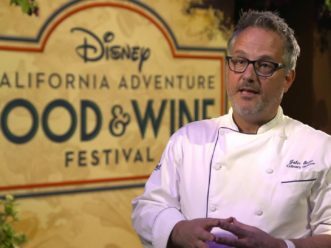 House-made pies are the recipes of Disneyland Executive Pastry Chef Jean-Marc Viallet. The single-serving pies come in apple-cheddar, chocolate mud, cherry and blueberry-peach, to name a few. Cozy Cone Motel is inspired by the quirky “wigwam” motels along Route 66 with each of five teepees offering tasty cone-themed treats. Cone Number 1 offers churro bites with cinnamon-chocolate sauce, cinnamon-spiced hot cocoa and Ramone’s Pear of Dice Soda made with dessert pear flavor, mojito flavor and Sprite. Cone Number 2 features soft-serve ice cream and “route” beer floats. Cone Number 3 offers savory bites all served in edible bread cones, such as a bacon-scrambled egg cone for breakfast, chicken verde or chili “cone” queso for lunch and dinner. Cone Number 4 is pretzel bites with cheesy sauce and Red’s Apple Freeze, a fat-free, frozen concoction with apple juice, toasted marshmallow syrup and passion fruit-mango foam. Cone Number 5 features two flavored popcorns daily, such as dill pickle and sweet & spicy. Fillmore’s Taste-In is home to resident hippie, Fillmore, where “natural fuels” are on the shelves in his tie-dyed geodesic dome, including whole and cut fruits, bottled water and juices. Throughout Disney California Adventure, guests will find diverse culinary styles and tastes in an array of eateries. At Pacific Wharf, Ghirardelli Soda Fountain and Chocolate Shop offers world-famous hot fudge sundaes and chocolate products. In a Ghirardelli tradition, each guest receives a complimentary sample of its signature Ghirardelli Squares chocolate. 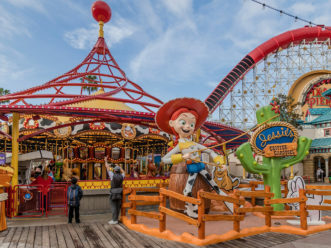 The Pacific Wharf offers plenty of spots for a quick bite, from a sandwich or sweets at Pacific Wharf Café to tacos at Cocina Cucamonga Mexican Grill and hearty Asian creations at Lucky Fortune Cookery. 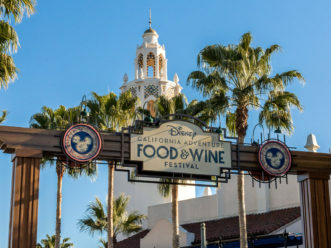 Also at Pacific Wharf, guests enjoy al fresco dining at Wine Country Trattoria at the Golden Vine Winery, with a menu of pastas, grilled sandwiches and California wines by the glass. At dinner, the menu adds dishes such as hearty balsamic-braised short ribs, braised lamb shank and sustainable fish. The dining pavilion in Paradise Pier provides plenty of seating and two restaurants. Boardwalk Pizza & Pasta offers something for everyone, from hearty pasta dishes to delicious salads and flatbread pizzas with flavors from traditional cheese to Portobello mushroom and spinach with pesto. Next door, Paradise Garden Grill gives dishes a Mediterranean spin with chicken, beef, vegetable and tofu skewers served with a choice of sauce, including Moroccan chili tomato and tandoori-spiced yogurt. Refreshing Greek salads and a kid’s menu also are available. Corn Dog Castle serves a popular beach snack in two flavors, original and hot link, with a deep-fried cheddar cheese stick as a delicious meatless option. Bayside Brews offers domestic and specialty beers on tap for guests 21 years of age and older, along with a selection of non-alcoholic beverages and warm, salted pretzels. 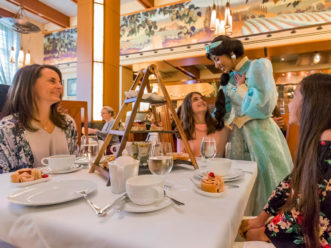 At Ariel’s Grotto, the lively Ariel’s Disney Princess Celebration for breakfast or lunch is one of this park’s most-requested reservations, with Ariel, Snow White, Belle, Cinderella and Sleeping Beauty greeting guests at every table. 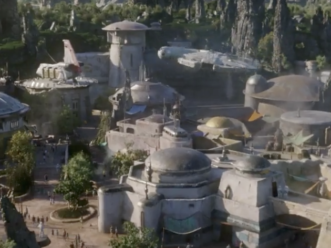 The Disneyland Resort features two spectacular theme parks – Disneyland (the original Disney theme park) and the reimagined Disney California Adventure Park – plus three hotels and the Downtown Disney District, comprised of unique dining, entertainment and shopping experiences. The Resort’s hotels are the luxurious, 948-room Disney’s Grand Californian Hotel & Spa, which also features 50 two-bedroom equivalent Disney Vacation Club units; the magical 973-room Disneyland Hotel – both AAA Four Diamond properties – and the 481-room Disney’s Paradise Pier Hotel with its “day-at-the-beach” fun. 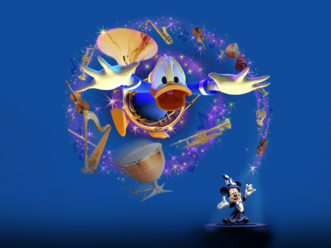 For information on attractions and vacations at the Disneyland Resort, visit www.disneyland.com, call (866) 43-DISNEY or contact local travel agents.